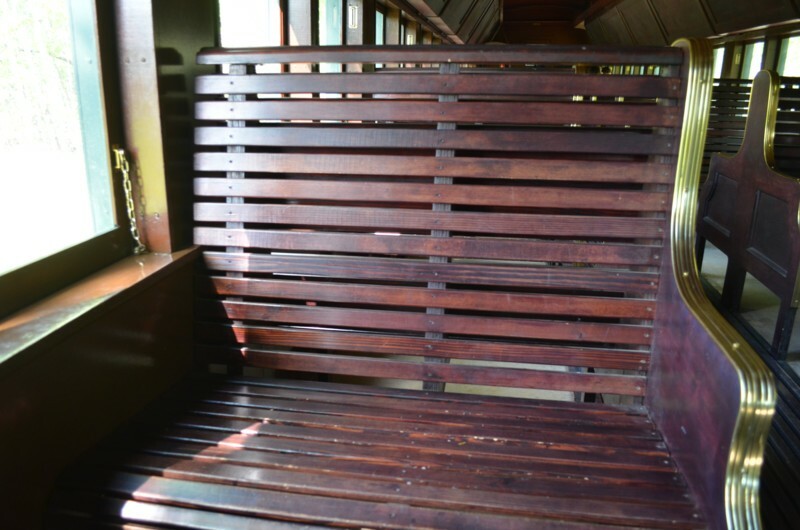 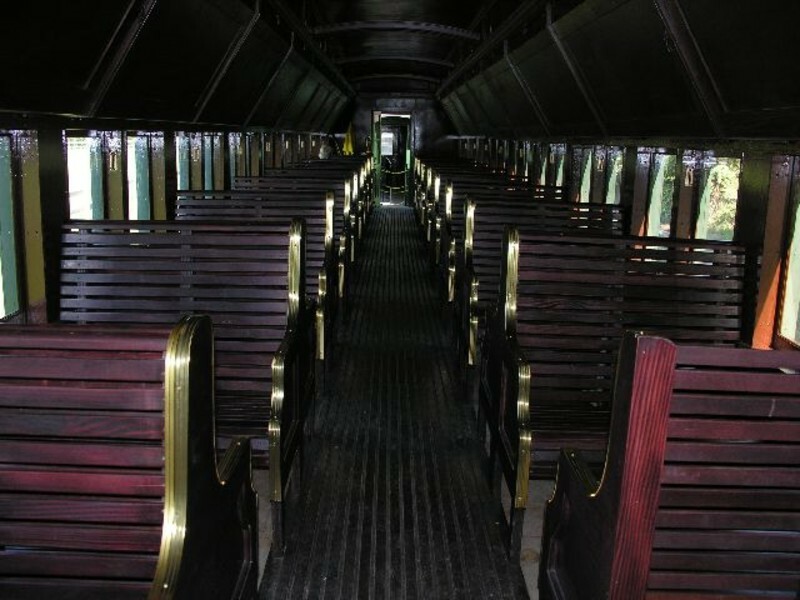 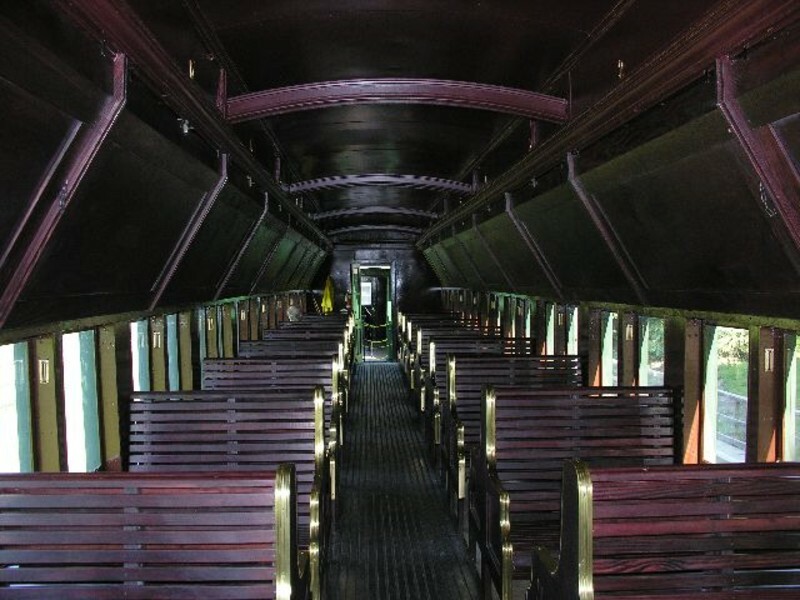 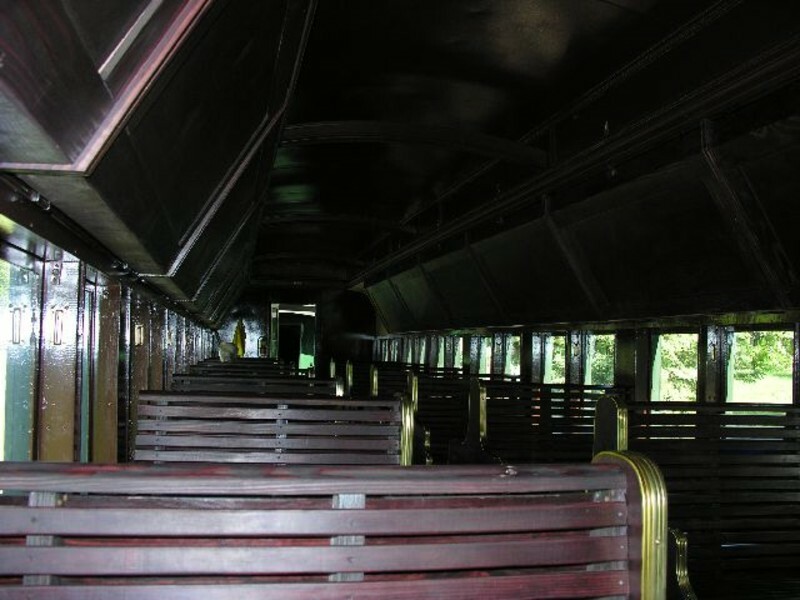 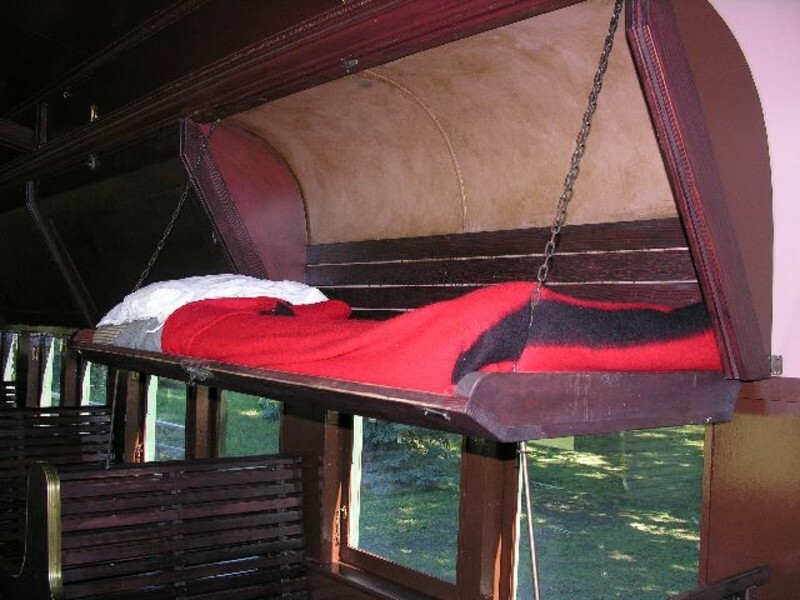 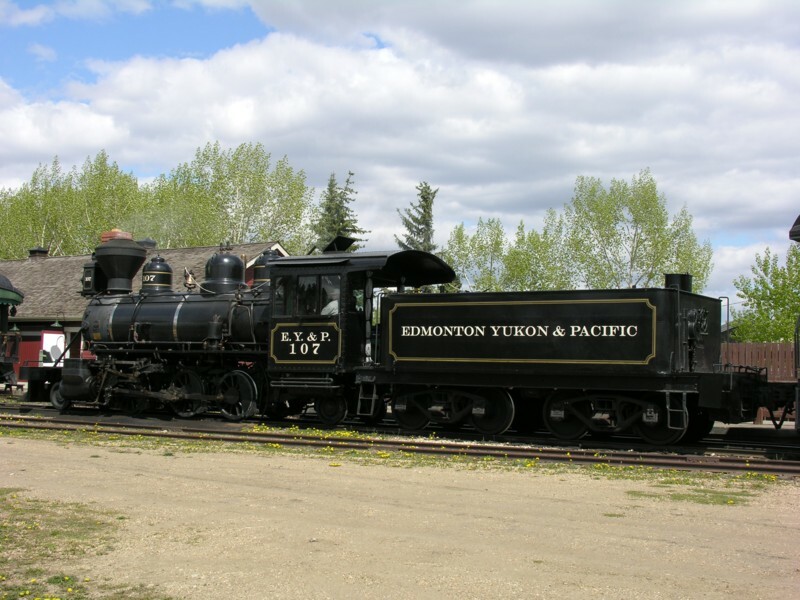 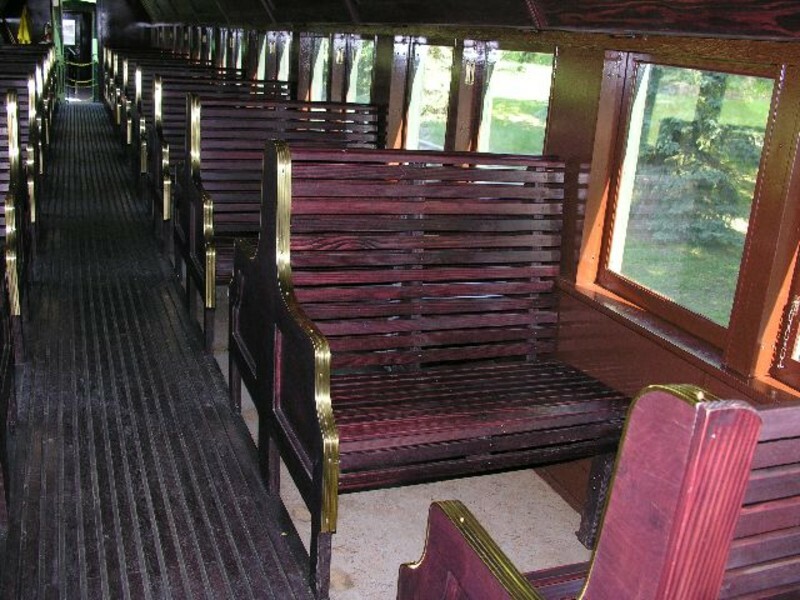 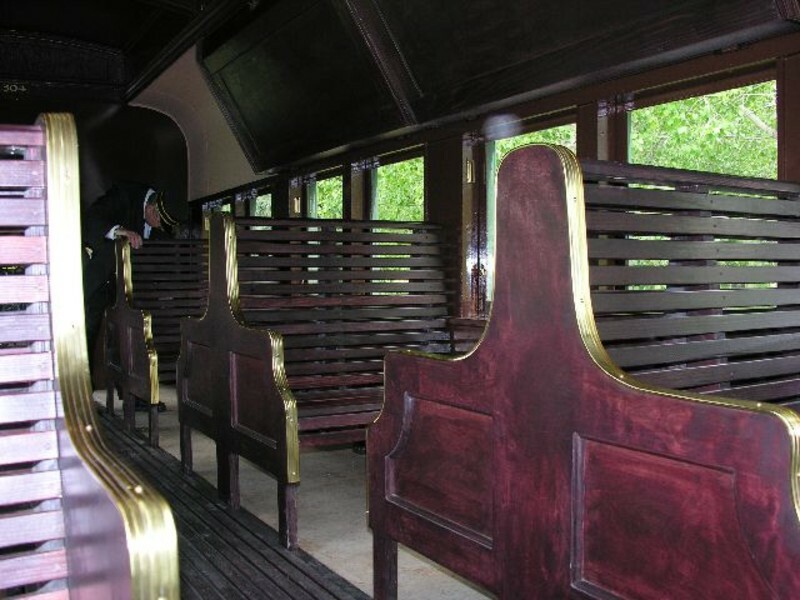 2005 This coach was built around 1905 for the Canadian Pacific Railway. 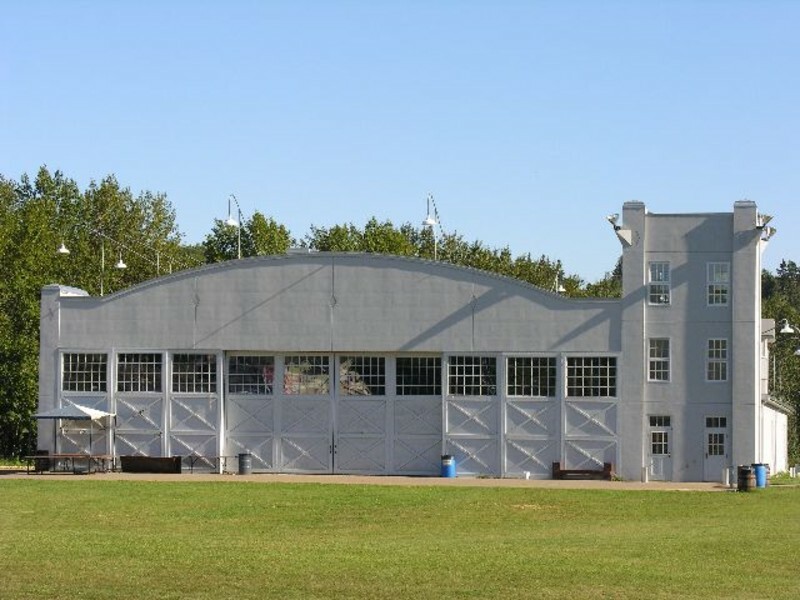 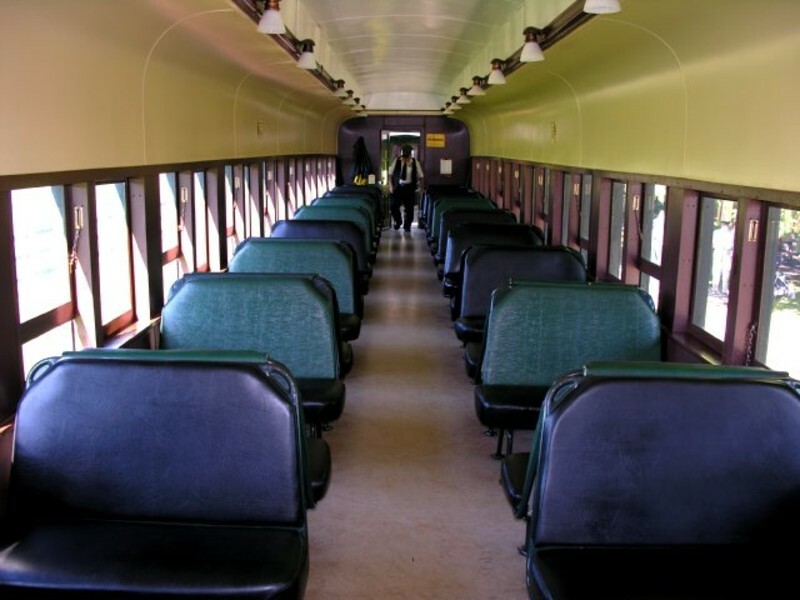 After operating for many years with the N.A.R., this 60 foot long car was acquired in 1983 and substantially rebuilt. 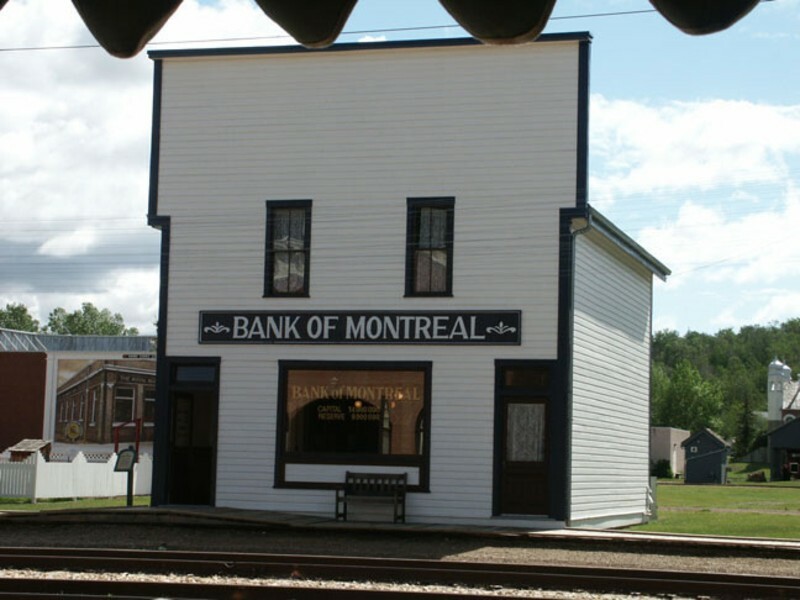 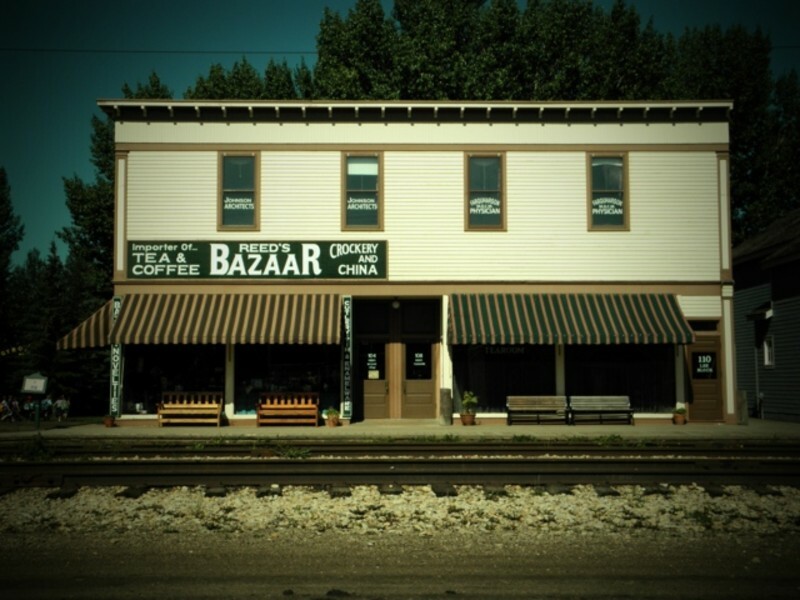 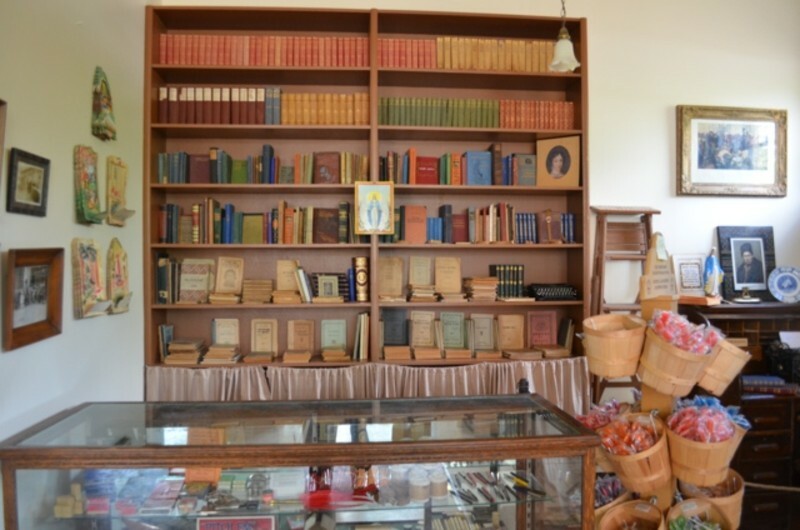 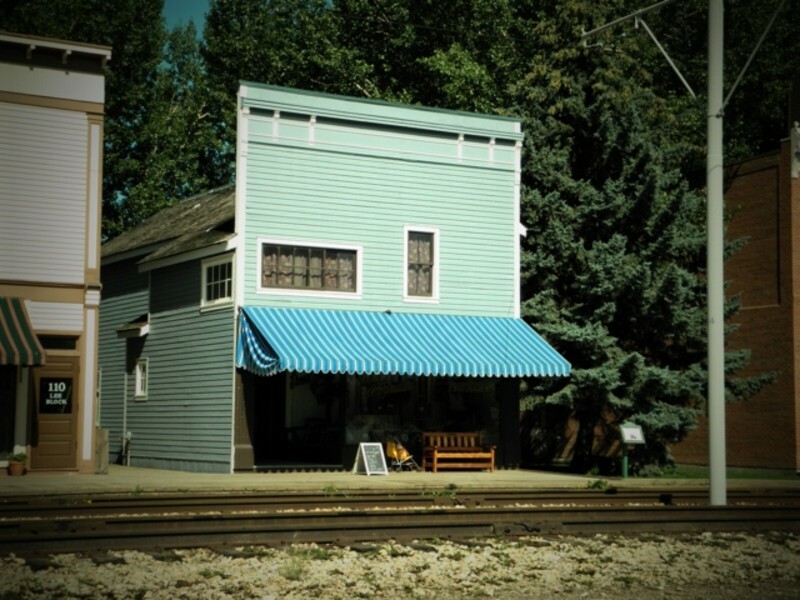 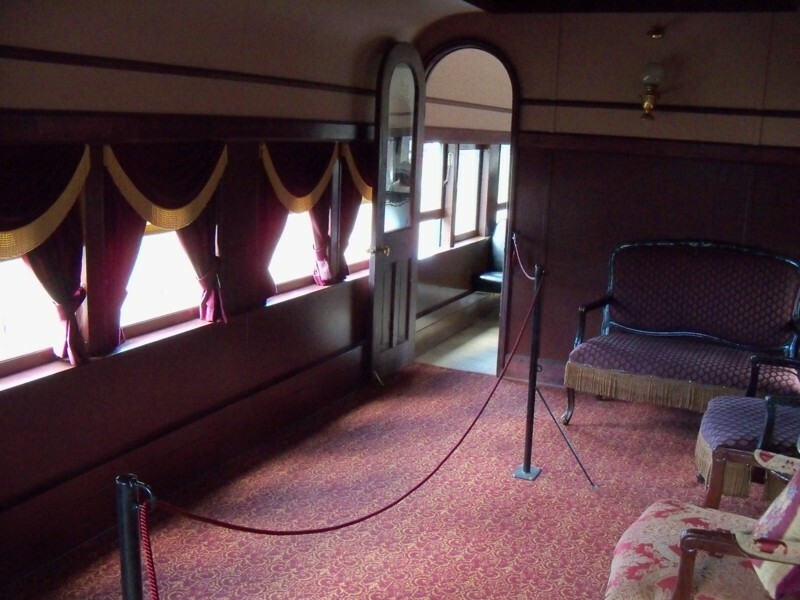 2001 In the fall of 2005, for the movie, 'The Assassination of Jesse James', the interior was completely rebuilt. 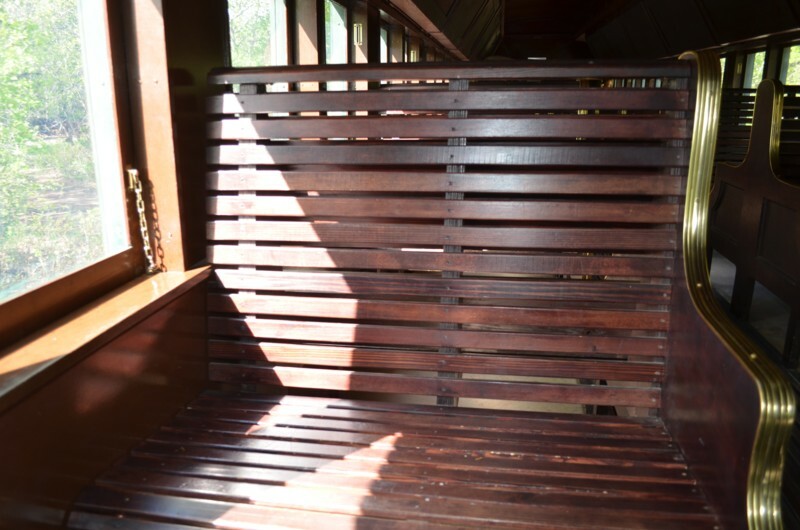 New seats and sleeping bunks were installed. 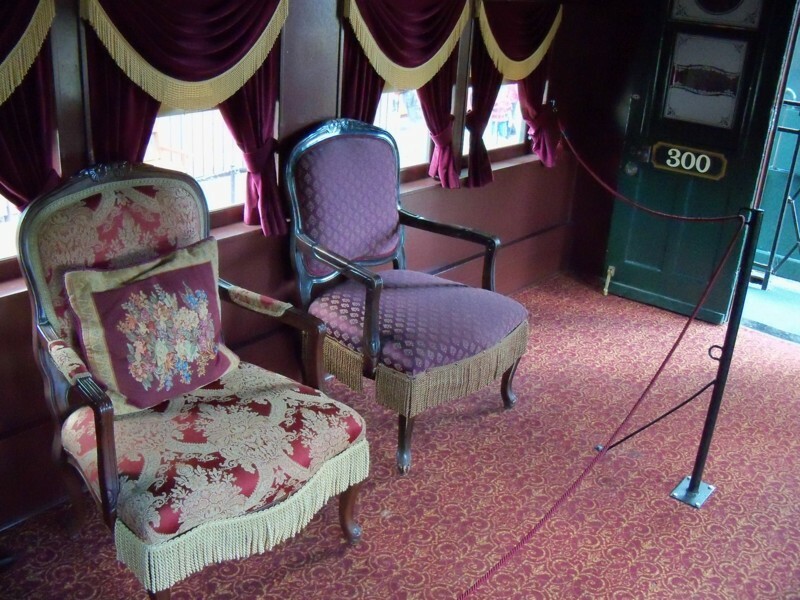 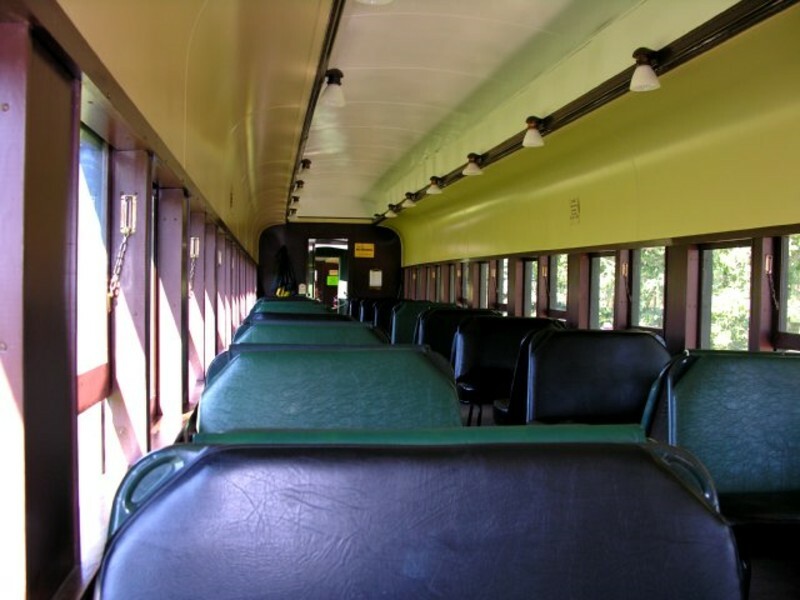 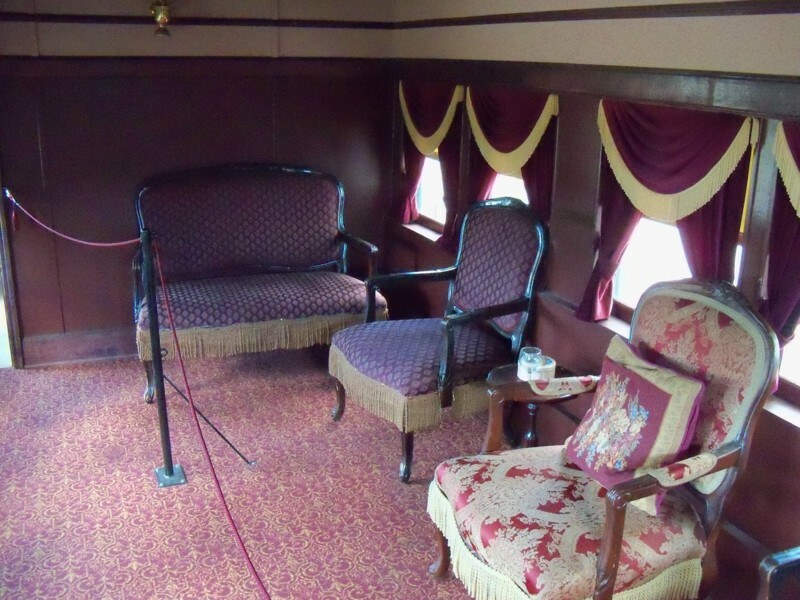 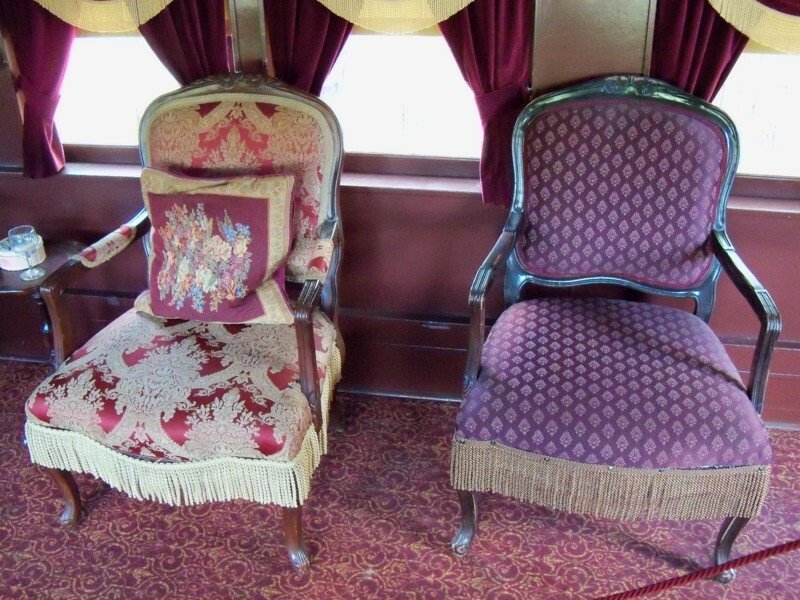 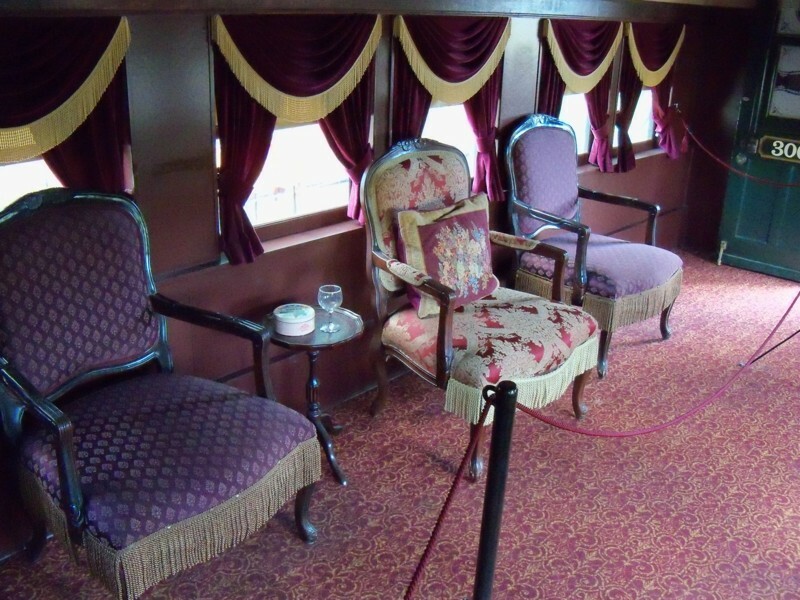 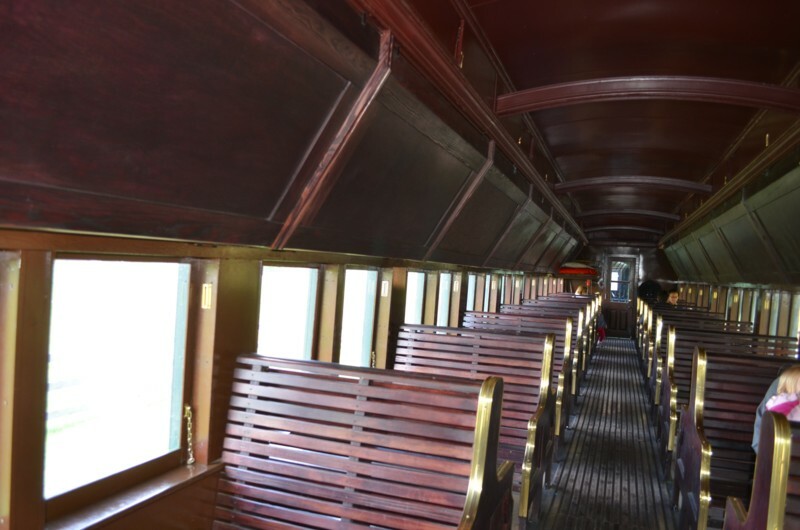 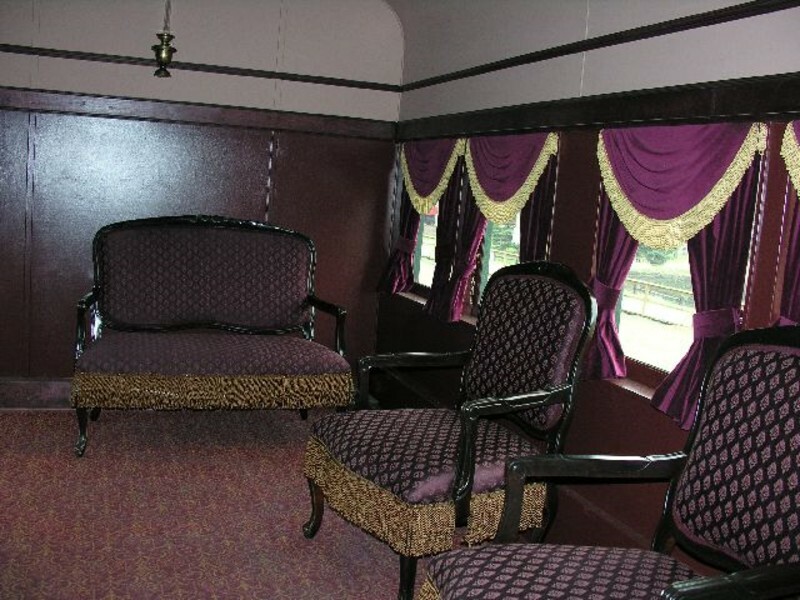 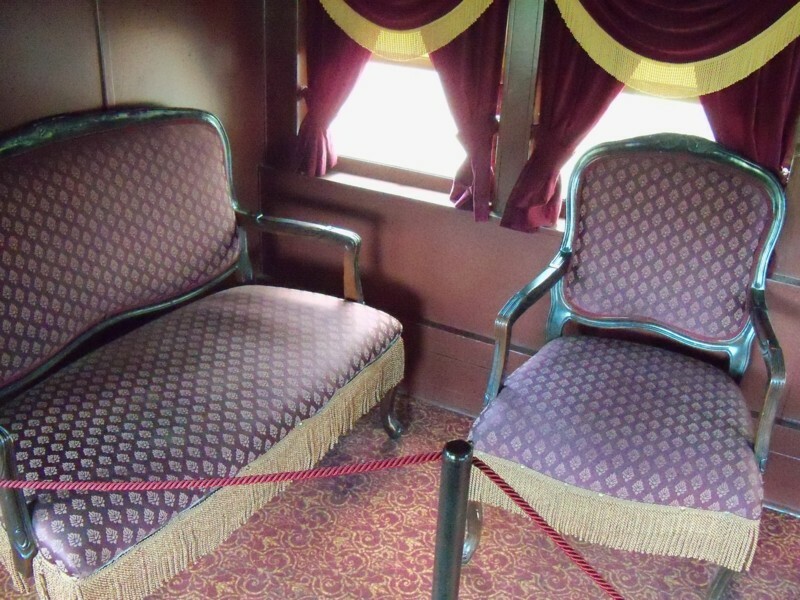 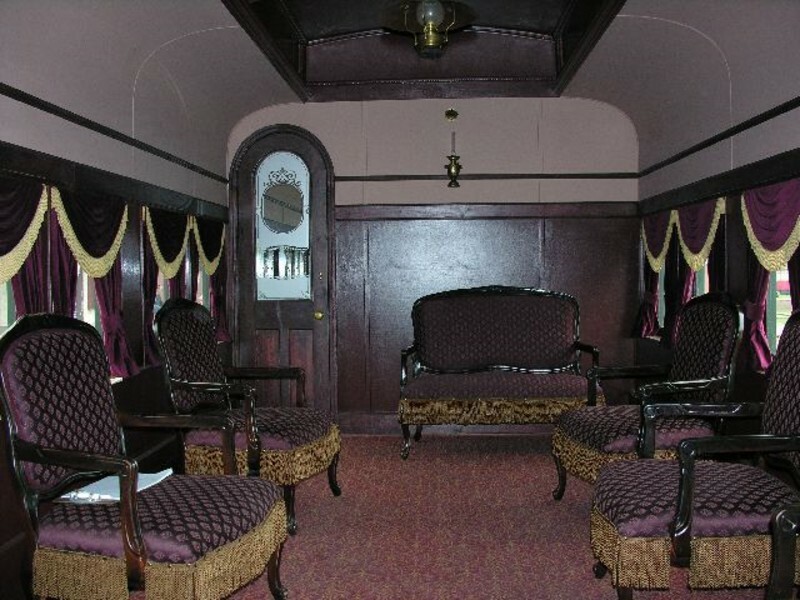 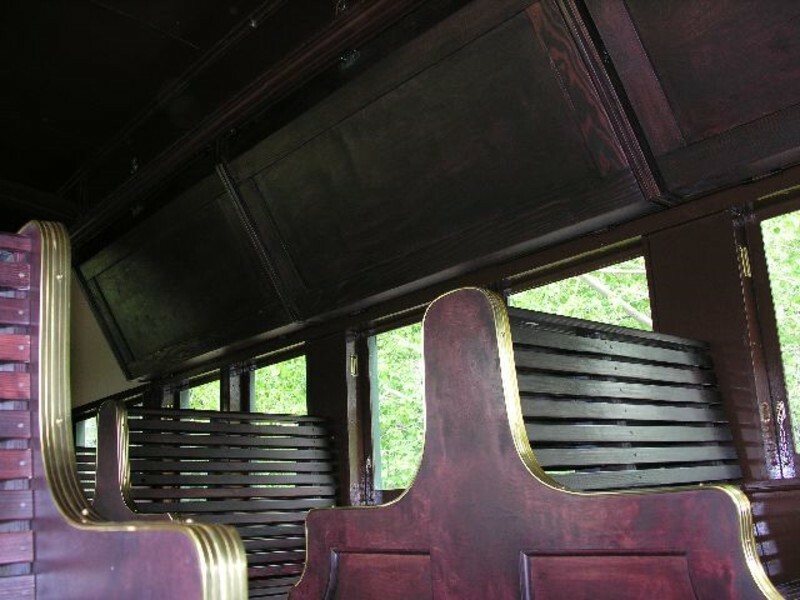 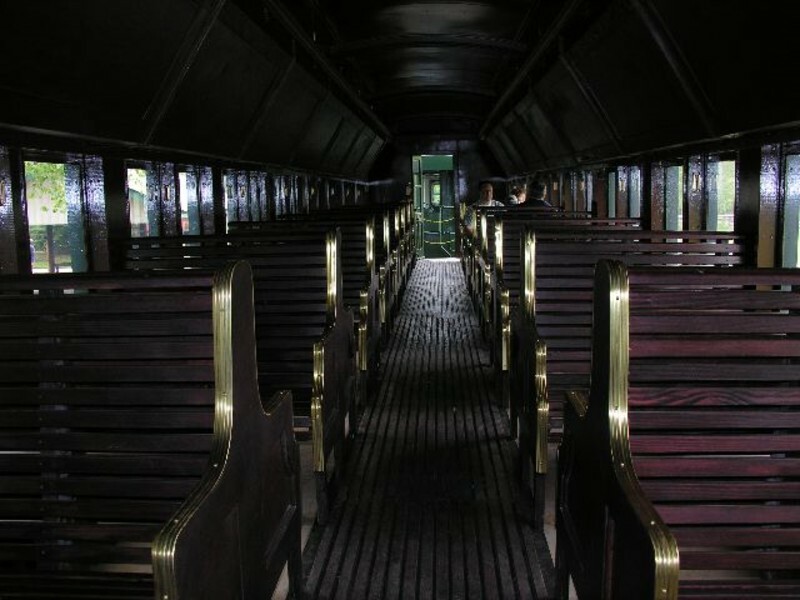 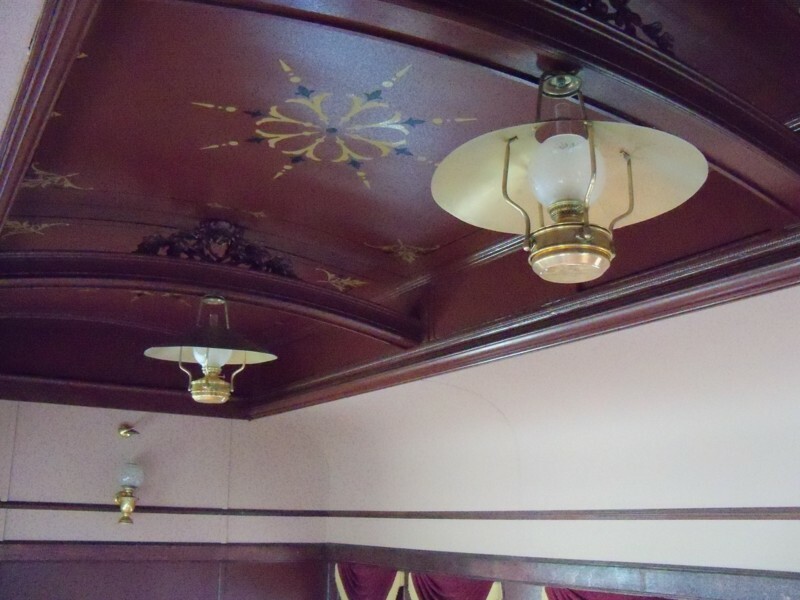 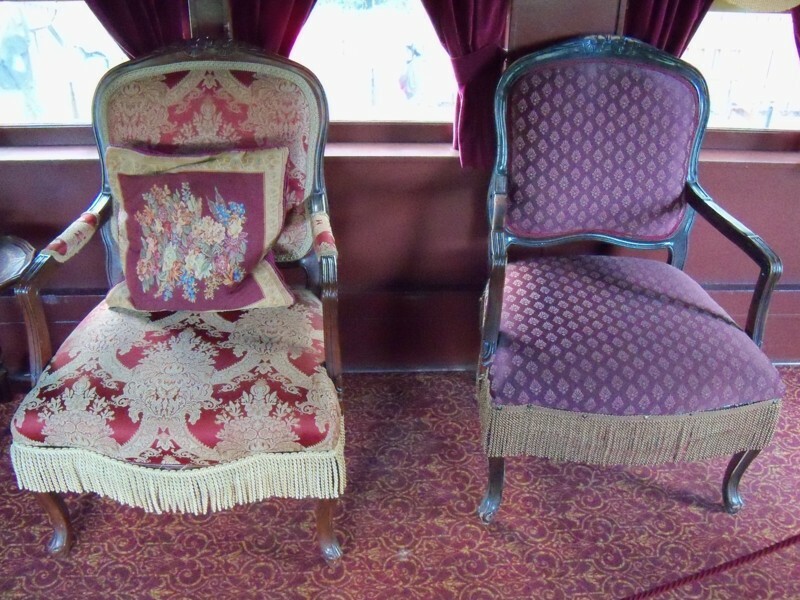 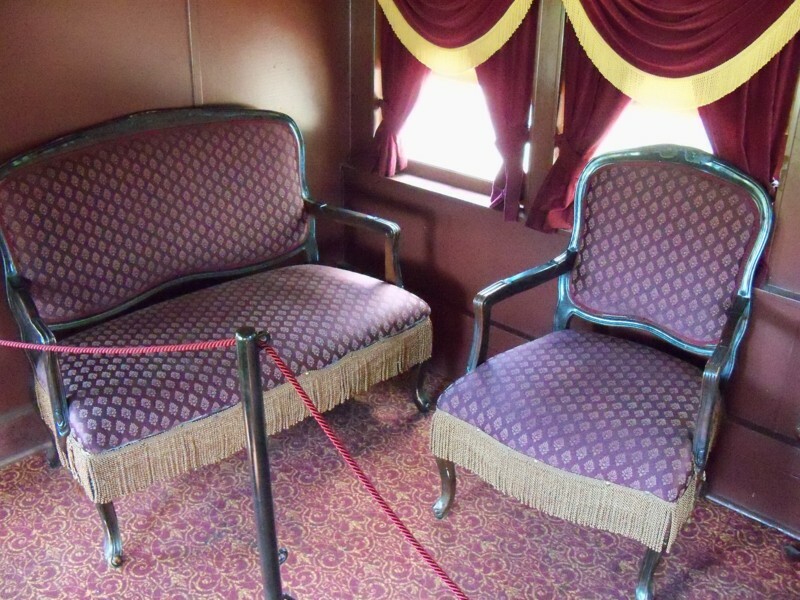 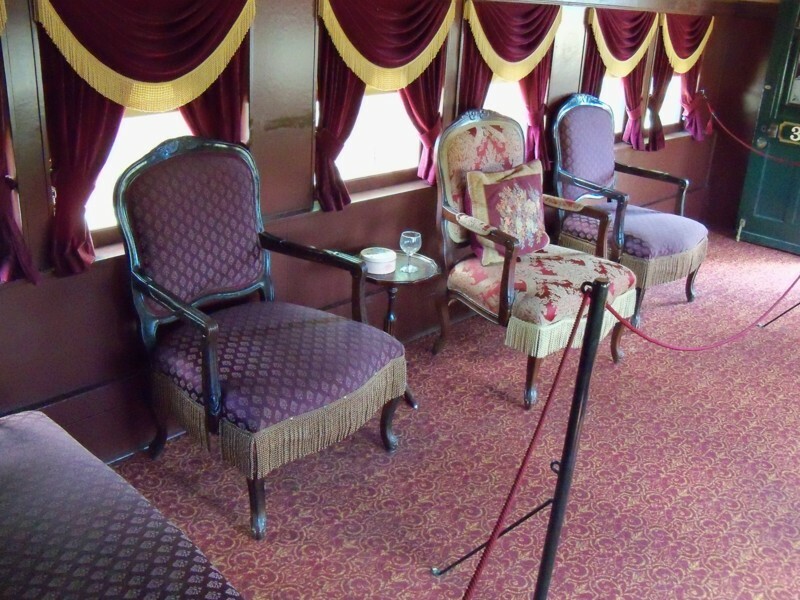 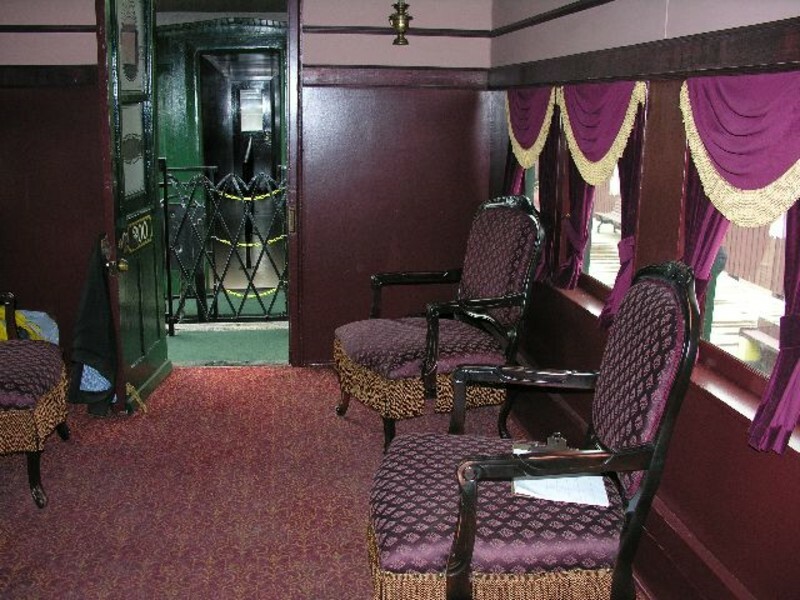 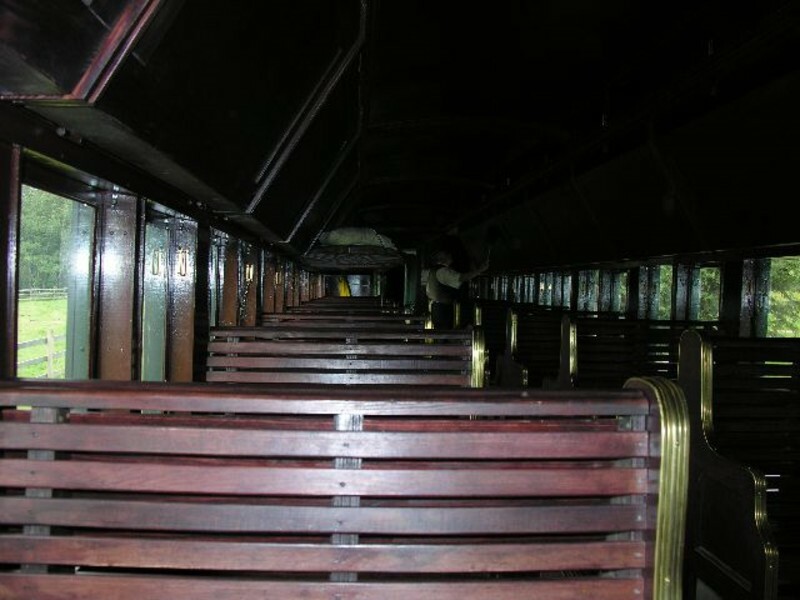 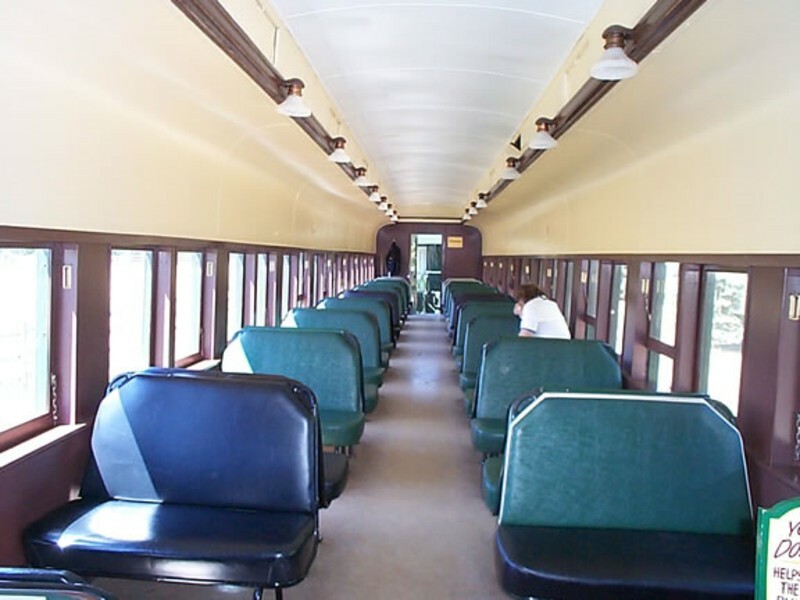 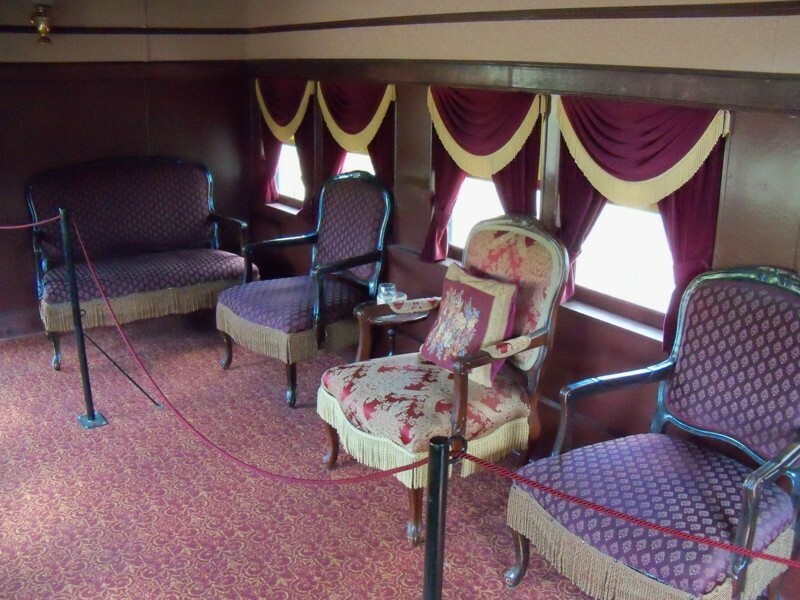 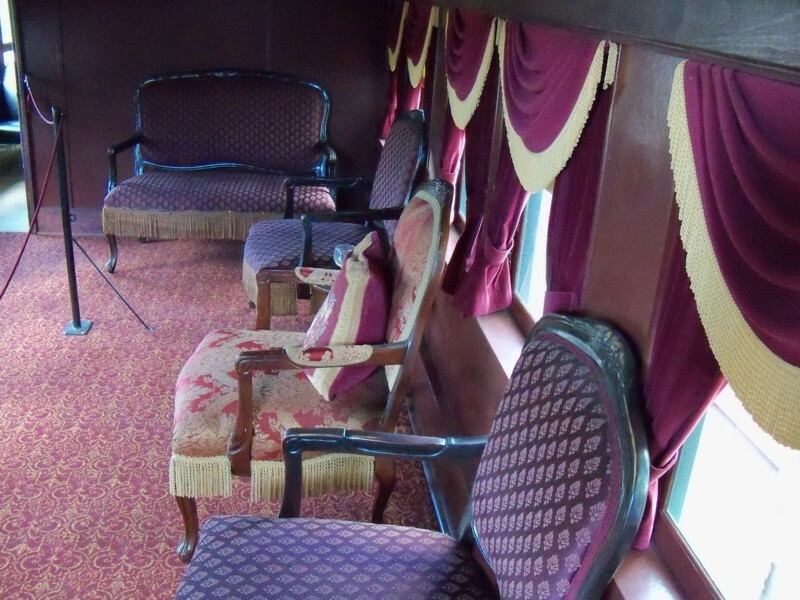 The front part of the car was designed as a posh parlor car for the movie as shown in the 2006, 2010 and 2012 pics.